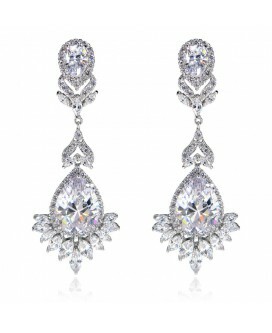 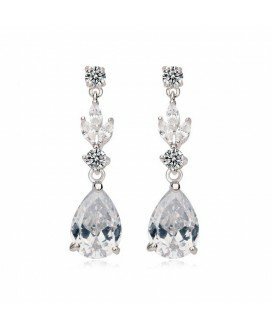 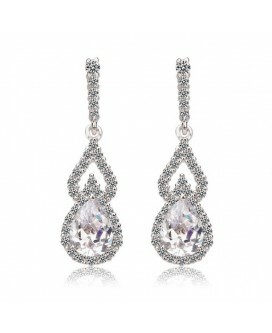 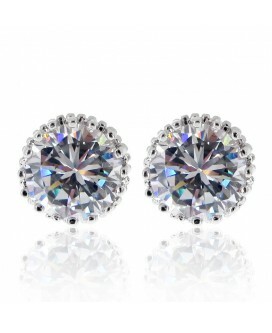 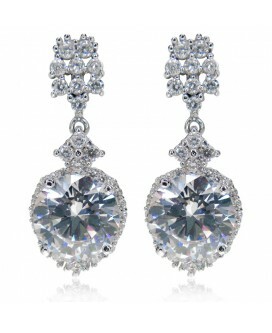 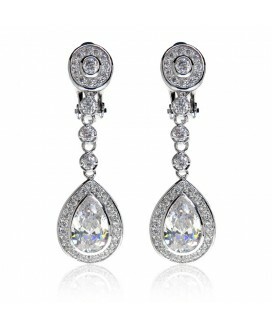 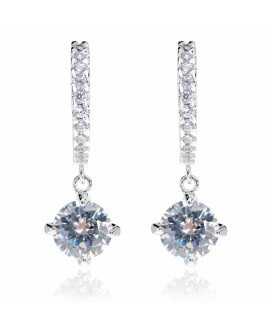 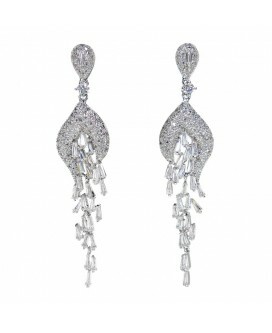 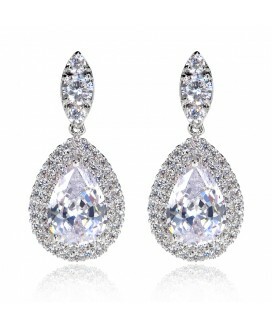 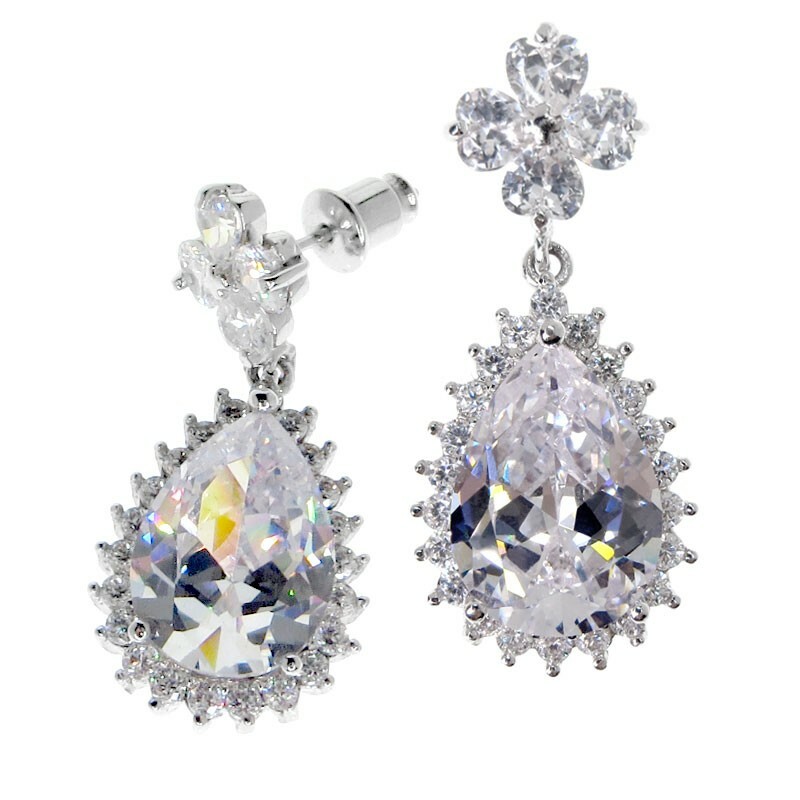 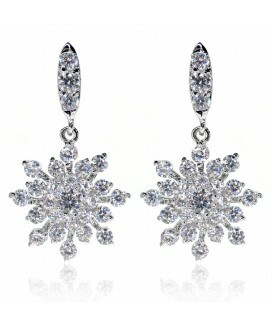 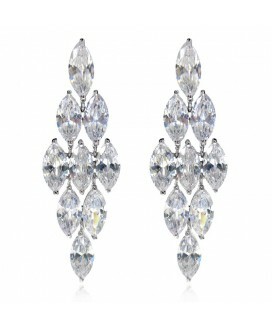 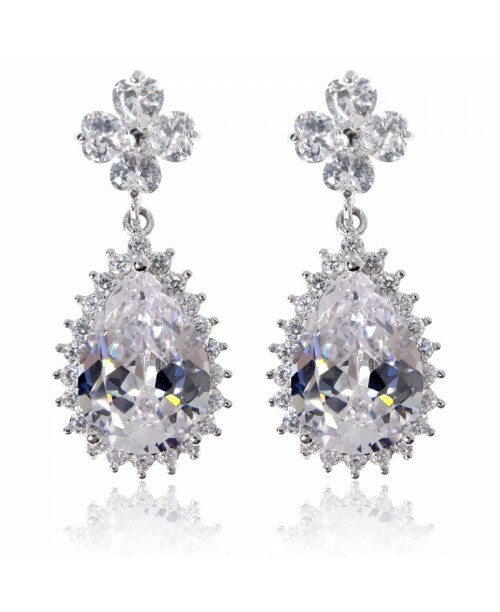 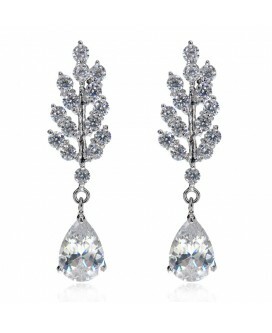 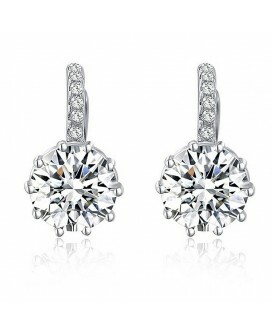 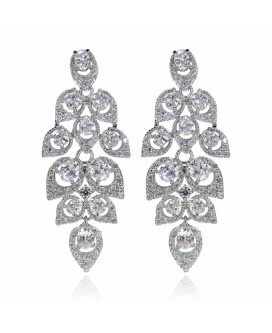 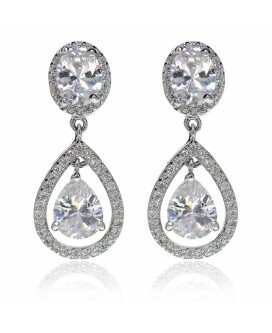 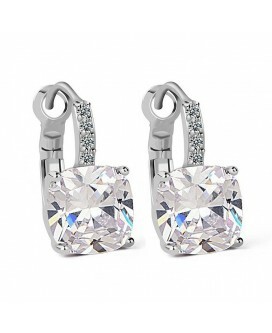 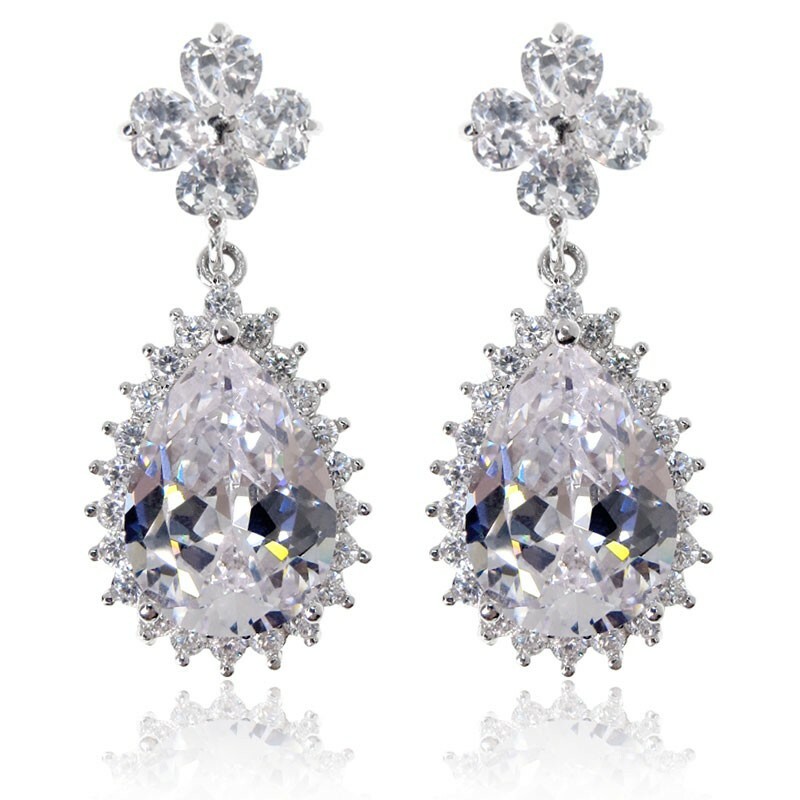 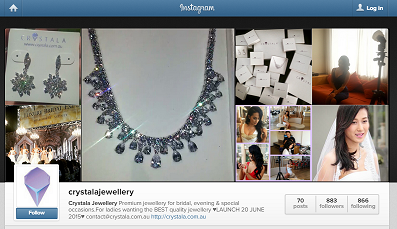 Live a life full of luck and luxury, indulge yourself with this pair of brilliant cubic zirconia earrings. 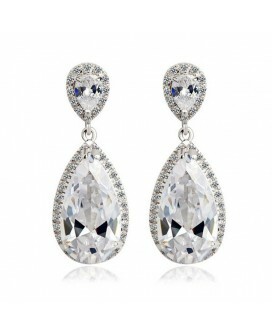 A large tear-drop shaped stone with perfect cutting and fire is dazzling enough by itself, but surrounded by a rim of finely cut stones, the glittering effect has to be seen to be believed. 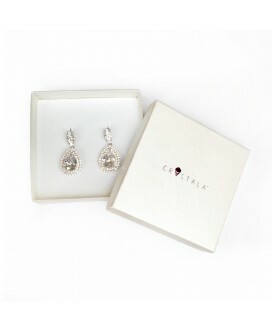 Hanging from a four leaf clover stud, made up of 4 gorgeous heart shaped stones, these earrings are the definition of style. 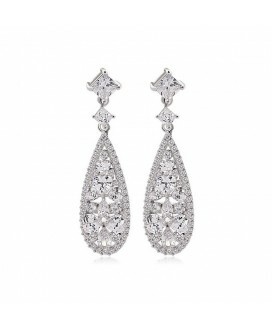 Dipped and plated in White Gold, this is the perfect piece to complement your outfit from a wedding dress to a special date. 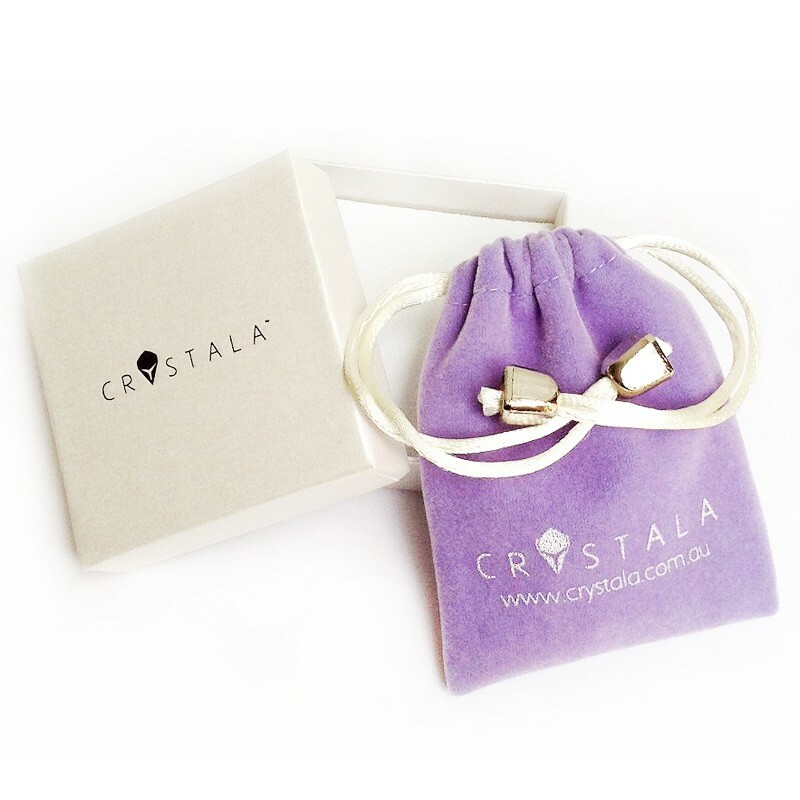 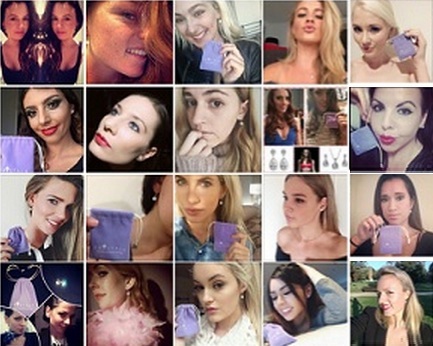 Note: Necklace not included from photo.